Hillary Clinton didn’t just have her own private email service, it looks like she also had her own secret intelligence operation working in Libya. Of course, Hillary probably just set up her own clandestine spy operations for the same reason she set up her own private email server: “Convenience”. Starting weeks before Islamic militants attacked the U.S. diplomatic outpost in Benghazi, Libya, longtime Clinton family confidante Sidney Blumenthal supplied intelligence to then Secretary of State Hillary Clinton gathered by a secret network that included a former CIA clandestine service officer, according to hacked emails from Blumenthal’s account. 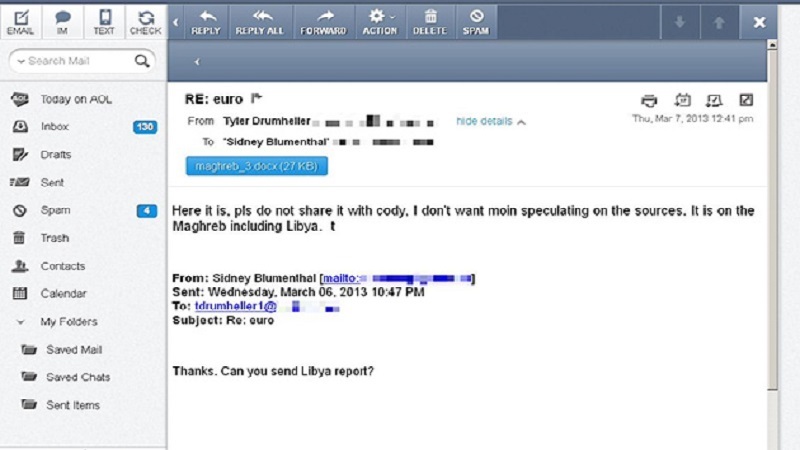 The emails, which were posted on the internet in 2013, also show that Blumenthal and another close Clinton associate discussed contracting with a retired Army special operations commander to put operatives on the ground near the Libya-Tunisia border while Libya’s civil war raged in 2011. The more we learn about how Hillary operates her foundation, and how she conducted business as Secretary of State, the more I begin to doubt that she actually lives in a house in Chappaqua… I think it’s a super-villain lair in a volcano somewhere.